Back in August I saw the Oh, Fransson! 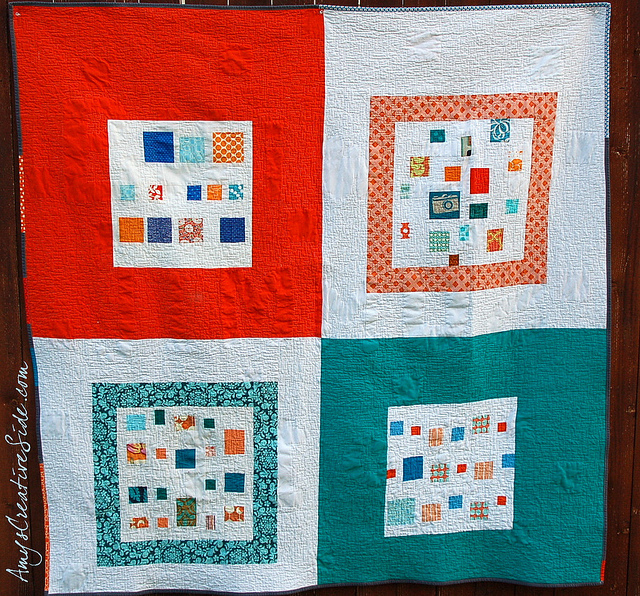 Billboard Quilt-along and had an idea: make Sewing Summit quilts for Amy and Erin. I knew that this was too much to undertake alone and would be more meaningful if more people participated. So I put together the SSSS Bee - Super Secret Sewing Summit Bee. I made a Flickr group and was fortunate enough to have a bunch of ladies sign up to help! Each person was assigned a letter and given 10 days (!!) to complete two blocks and two siggy blocks and mail them back. I also had 4 ladies help out with the back and Chris offered to quilt it (thank you!!). Chris used a wandering block pattern and avoided all the letters and siggy blocks. Can you imagine? 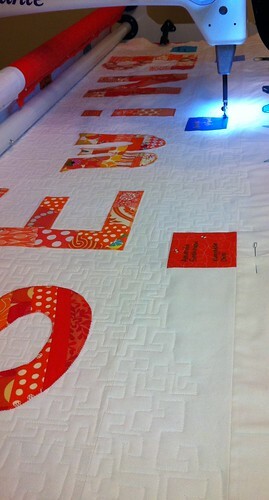 4 days, 2 huge quilts, dense quilting...she truly is amazing! It was up binding it AT Sewing Summit on Erin's sewing machine (I think Kristie might have a pic?? ), but I got it done and am so happy with how it turned out. I think Amy and Erin loved them as well. 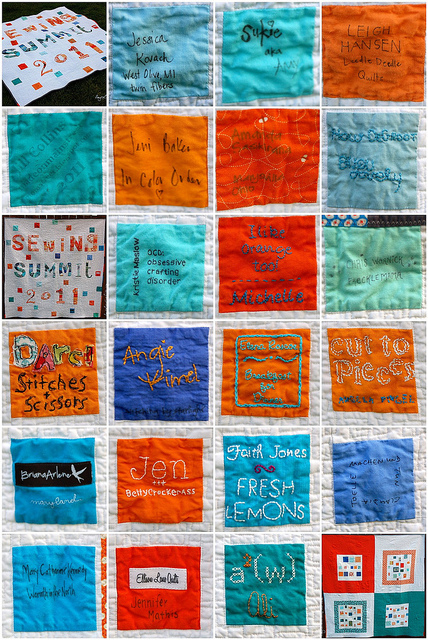 More about Sewing Summit later! wow ali! what a huge undertaking, nice work! 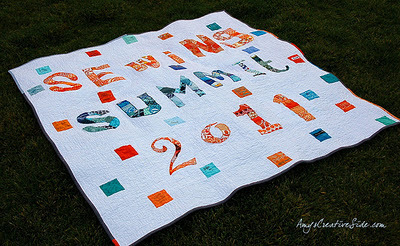 Ali, this was such a great idea and the quilts are so beautiful, and I know really touched all of us there. Great job!